View More In Floor Machine Pads. The revolution is here and now! Braxton-Bragg is proud to introduce Viper Diamond-Impregnated Floor Maintenance Pads. These floor pads are available in a variety of sizes that will fit most commonly used floor cleaning machines. If you're used to using Twister floor pads, the pads from Viper are very comparable, at a significantly lower price, saving you even more money! The Viper Floor Maintenance Pads are so easy to use with the floor machines, that cleaning and restoring the shine to a floor can be accomplished with a few passes. Additionally, there is less need for chemicals or waxes with these pads. All you need is water and you're good-to-go! 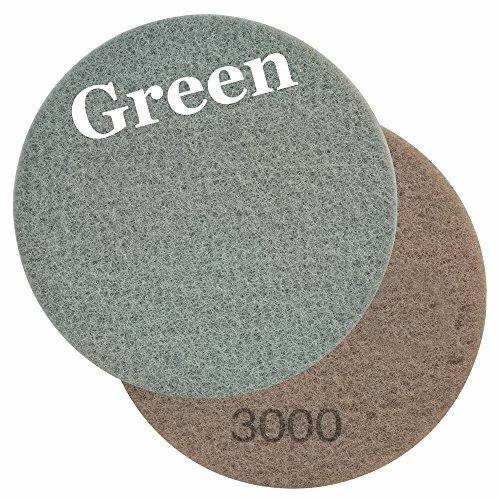 The Green 3,000 Grit Pad is the equivalent of the Twister Step 3 Green Pad used for continued floor cleaning. Used daily, it will maintain the cleanliness and shine of the floor with just water. Since 1995, Braxton-Bragg's philosophy has been to offer the best customer service and the best value for your money. That means you get the latest technology, fabrication techniques, and equipment improvements Better! Faster! Cheaper! Viper Diamond-Impregnated Floor Pads are made in the USA! Easy to use - clean and restore the shine to a floor with just a few passes; little need for chemicals - just use water and you're good to go!